Export Quality Corrugated Box offeredcome with high quality printing support as well as in durable construction material finish so as to match up with the specific demands of the customers. Further, the making of the boxes in recyclable material finish also make them an environment-friendly option to use. Some of its features include choice of customized logo support printed in one to four-color (CMYK)/pantone options; good price and high-quality finish support; different finishing choices like glossy/matt lamination, polishing, UV coating, embossed and others; base material options of white/brown Kraft paper, art paper, ivory board, wood free paper, duplex grey board and others. Located in year 2012, in Rajkot (Gujarat, India), we “Bapa Sitaram Packaging” have gained recognition as the leading Manufacturer and Supplier of a comprehensive range of Duplex Boxes, Corrugated Boxes, Corrugated Sheets, Duplex Printed Boxes, Corrugated Rolls, Die Cut Boxes, Paper Bags and many more. 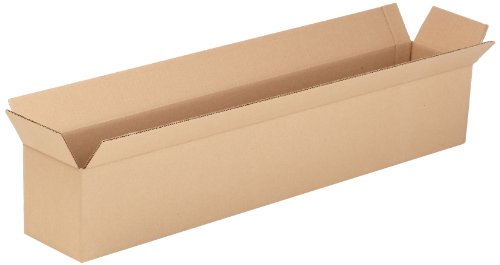 Theses boxes are widely used for storing, packaging and transporting purpose. The offered products are manufactured using high quality paper sheets and sophisticated technology in adherence to international quality standards. Our boxes are widely acknowledged for their tear resistance, recyclable, attractive design, high storage capacity, moisture proof, precisely designed and light weight. All our products are well checked under the supervision of our quality inspectors against various quality parameters to ensure their quality attributes. Furthermore, we offer our product range in various designs, sizes and colors as per the needs of our clients.